Sleek. Modern. Mint. 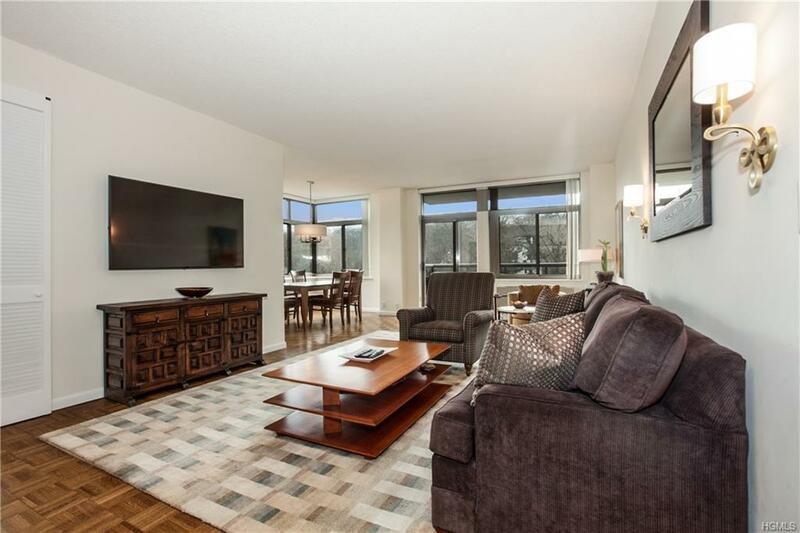 Large and light-filled 2 bedroom 2.5 bath corner unit condo in a premier luxury building located in the heart of Larchmont village. Short walk to the train and village shops and restaurants. 35 minutes to Manhattan! 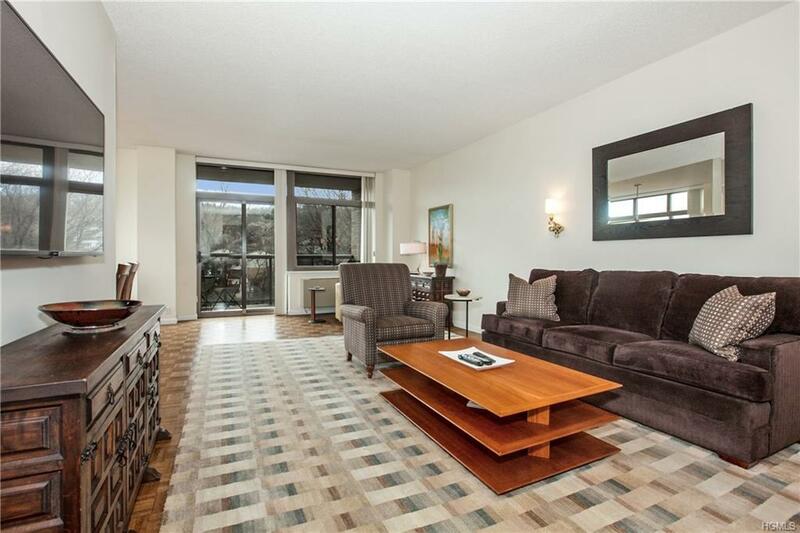 Enjoy easy living in this spacious, open floor plan with 9 ft ceilings, walls of windows and a wonderful balcony with beautiful views. 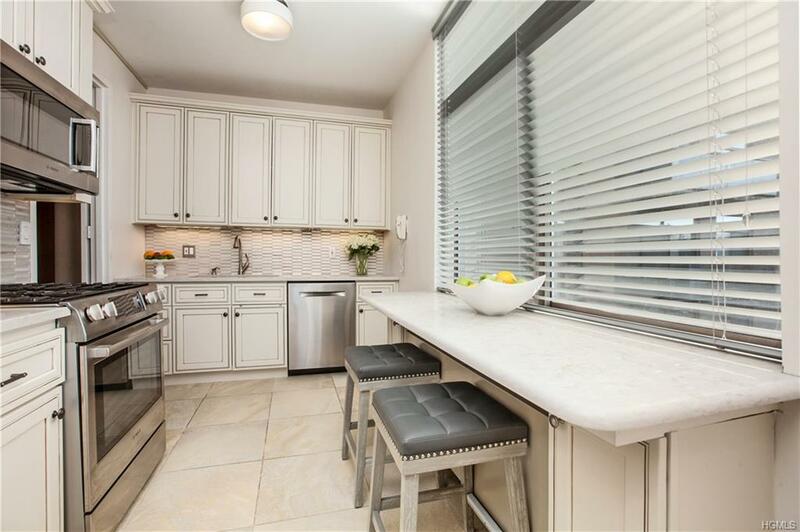 Kitchen stunningly renovated in 2016 with new stainless steel appliances, quartz countertops and breakfast bar. Parquet floors refinished in 2016. Master bedroom has 2 custom walk-in closets and bath w/shower and tub. Second bedroom has private bath and plenty of storage. Abundant closet space throughout; new Bosch washer and dryer (2016). Relax and enjoy morning coffee or cocktails on the private balcony. Unit has 1 assigned parking spot; plenty of visitor spots. 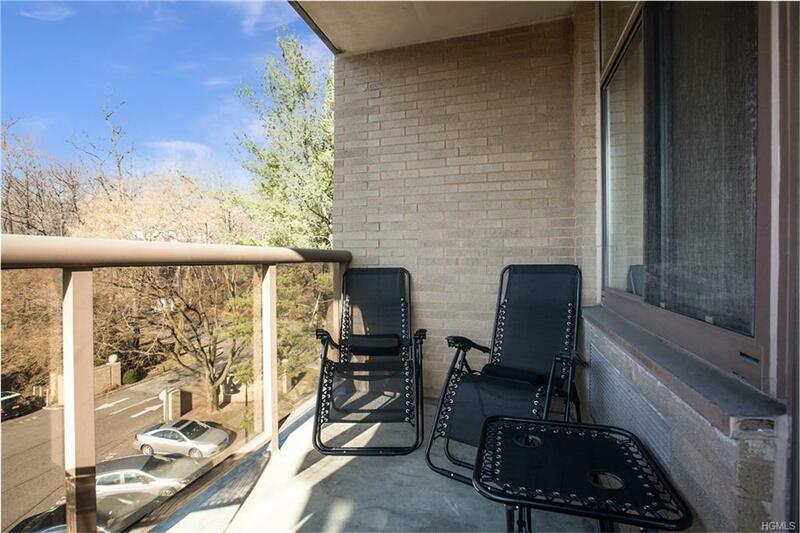 This desirable, pet-friendly building has so much to offer: 24 hr concierge, gym, heated outdoor pool, bike room, and picnic area with gas grills. Listing courtesy of Jeanne Summo of Houlihan Lawrence Inc..